ProPak Asia 2018, held from 13-16 June, once again achieved success through their continued commitment to provide the latest machines, technologies, and solutions for the processing & packaging industries. For 26 years, ProPak Asia has served as a platform to connect manufacturers and suppliers with solutions for optimizing and enhancing their capabilities, while visitors are able to explore current trends, including a movement toward machines functioned with multi-task system and increased flexibility for improved efficiency and the adoption of advanced technology manufacturing systems for IoT machines, robot co-workers, and manufacturing systems simulations. This year was bigger than ever both in exhibition space and the number of attendees, proving that ProPak Asia is the number one industry trade show. ProPak Asia 2018 presented 1,581exhibitors from 44 countries, and 18 international pavilions from the following 13 countries: Australia, China, Denmark, France, Germany, Italy, Japan, Korea, Singapore, Spain, Taiwan, UK, and USA. ProPak Asia 2018 attracted 48,799 buyers from 79 countries with 9.19% increase from last year. The number of overseas buyers also increased significantly, up 10.80% from the previous year with the Top 12 Asian Countries attending from Philippines, Malaysia, Singapore, Japan, China, Myanmar, Vietnam, Cambodia, India, Indonesia, Korea and Sri Lanka. The figures show increasing demands for technology and automation solutions and a global belief that ProPak Asia is Asia’s most important destination for anyone in the processing & packaging industries. 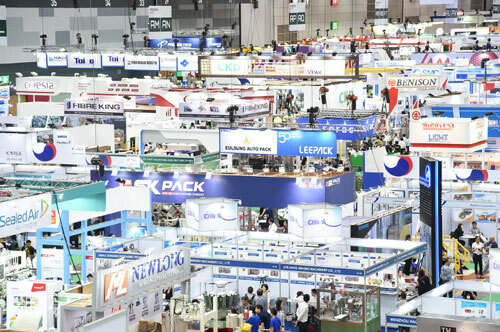 By expanding its capacity to nine halls, ProPak Asia 2018 was able to provide a wider variety of machines and technologies for its target audiences in the food, drink, and pharmaceutical industries, as well as other processing and packaging industries like automotive, semiconductor, and electronics. The event also established itself as an area of networking among industry professionals across nine zones: ProcessingTechAsia, PackagingTechAsia, DrinkTechAsia, PharmaTechAsia, Lab&TestAsia, MaterialsAsia, Coding,Marking&LabellingAsia, Coldchain,Logistics&WarehousingAsia and Printech Asia. Industry zones also received strong support from valued partners, including Better Pack and Buhler for the ProcessingTech Zone, Krones for the DrinkTech Zone, and N.R. Packaging for the PharmaTech Zone. 2018, Food Innovation Contest 2018, Asia Drink Conference 2018, PharmaTech Seminar 2018, TISTR Conference 2018, The Department of Industrial Promotion Seminar 2018, The FoSTAT-Nestle Bowl Quiz, Food Focus Thailand Seminar 2018, ThaiStar - AsiaStar - WorldStar 2018 Awards Ceremony, AIPIA Conference, AIP Training Course, FIA Conference, SME focused workshops and packaging seminars and many events from world-renowned and industry leading companies across all 4 show days. Space at the 27th edition of ProPak Asia is already in high demand from both exhibitors and the international pavilions. Next year is expected to see a further increase in the number of visitors, who are attending with growing needs for automation and innovation. Please do not miss the opportunity to join ProPak Asia 2019, which will return from 12-15 June at Halls 98 to 106, BITEC, Bangkok, Thailand to continue its mission of serving Asia’s processing and packaging industries with the best machines and technologies from across the globe. UBM Asia recently became part of Informa PLC, a leading B2B information services group and the largest B2B Events organiser in the world. Please visit www.ubm.com/asiafor more information about our presence in Asia.